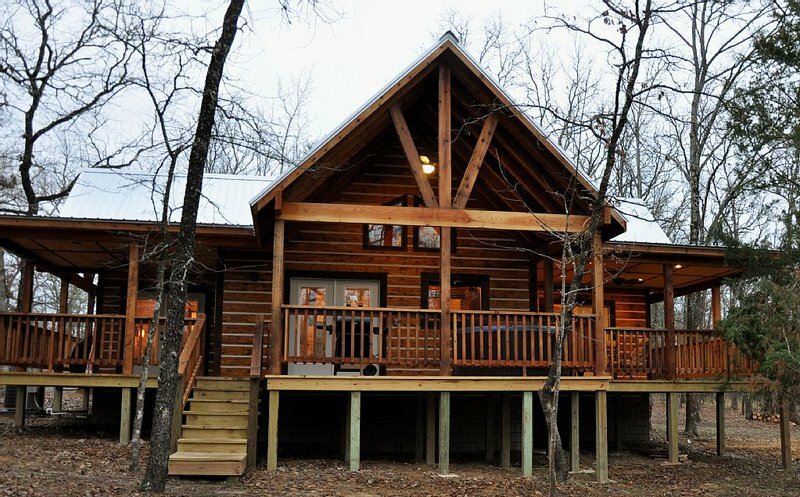 Head to Ringold, Oklahoma to relax on a beautiful secluded acre in a cozy log cabin that's perfect for your special getaway. 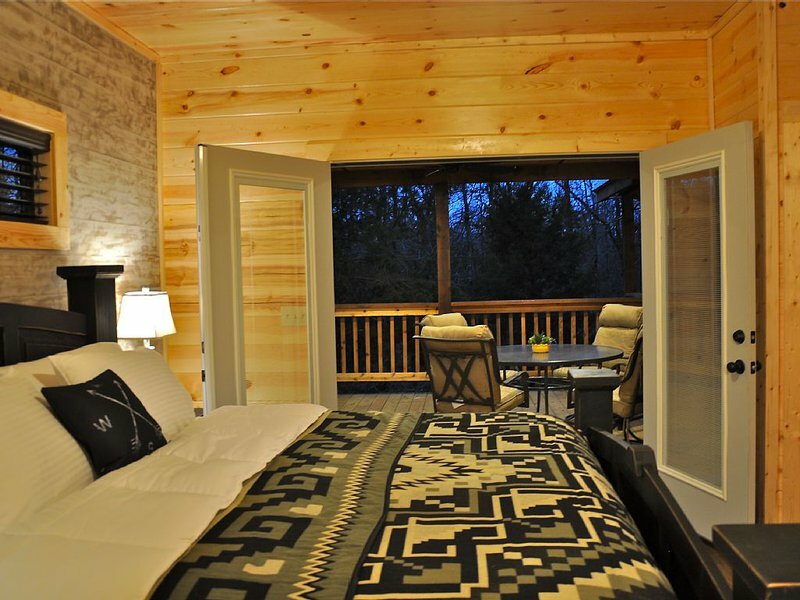 The Buckeye cabin features all the amenities that make you feel right at home in the rustic setting southeast Oklahoma's forests. 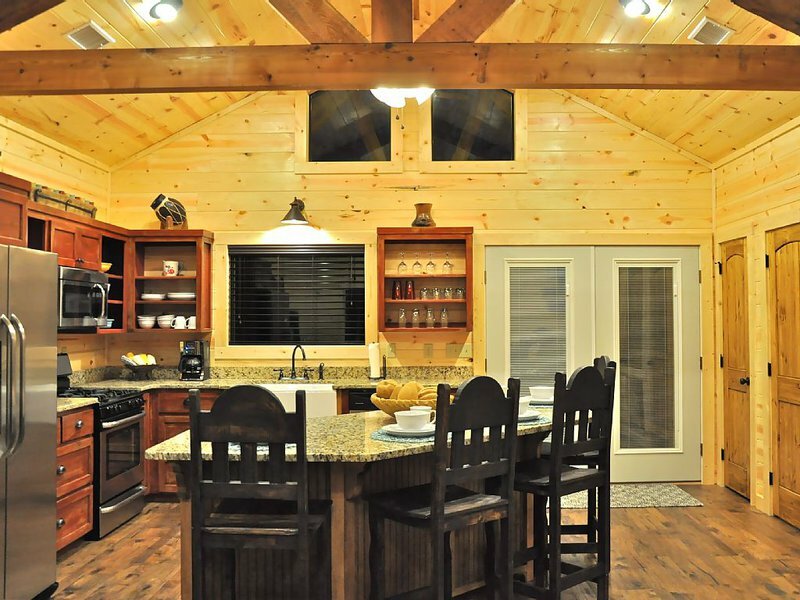 A fully stocked kitchen designed with granite, comfortable furnishings under cathedral ceilings, a working gas fireplace and flat screen TVs are just some of the features that will make your vacation truly relaxing. During your stay, enjoy a sunrise cup of coffee or a sunset glass of wine on the Buckeye's wrap-around deck. 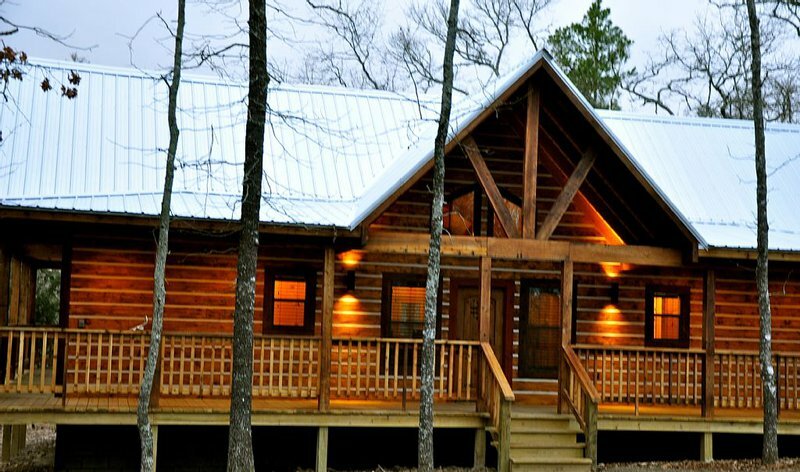 Roast some hot dogs or marshmallows on the outdoor fire pit after enjoying a day fishing, swimming or boating on nearby Pine Creek Lake, less than a half mile away. 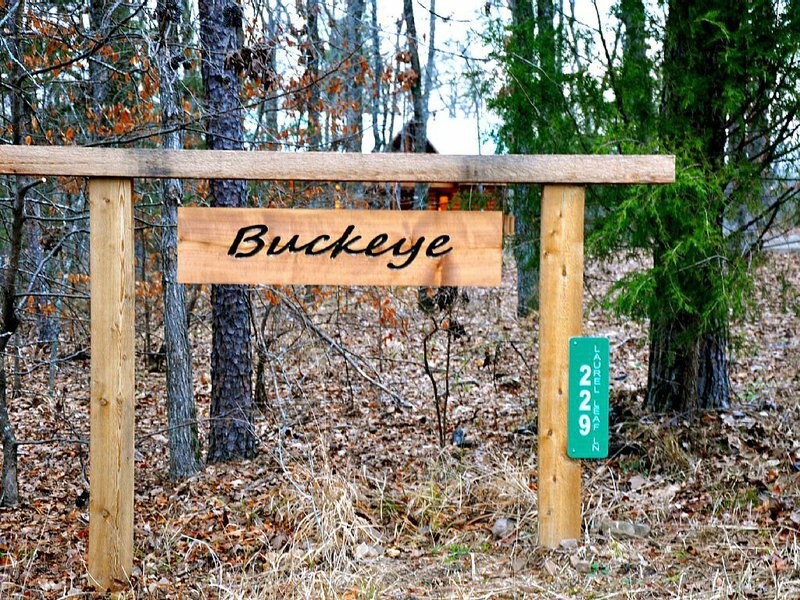 The Buckeye is also located just a half hour from the Broken Bow/Beavers Bend area which offers fishing, boating, hiking, hunting and much more. Located one mile west of Baldwins General Store and Ringold Cafe on Hwy 3.